Probably because of its previous association with the Soviet Union, many American visitors find Budapest unexpectedly beautiful and sophisticated. 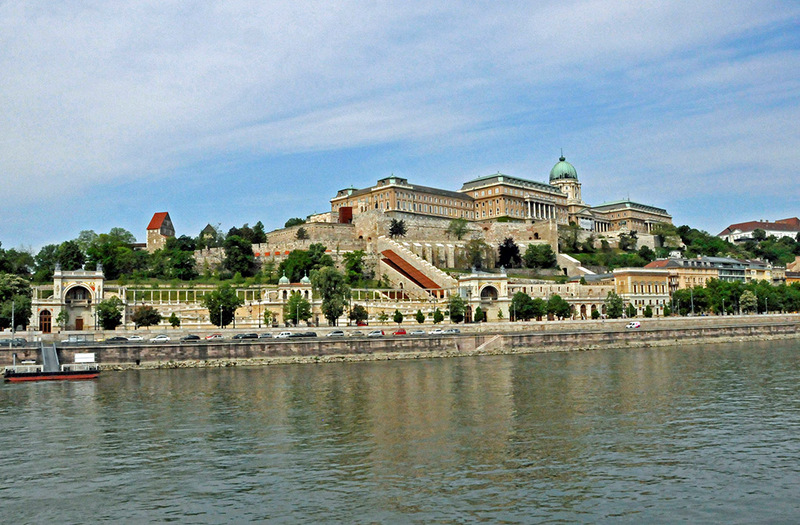 The Buda Castle is among its most popular destinations. When Maria Theresa of Austria became ruler of Austria and Hungary in 1740, Castle Hill, along the west bank of the Danube River in Buda, Hungary’s capital, had been the site of palaces for 500 years. To reward her Hungarian subjects for their support of her contested efforts to assume the throne, she erected a new palace atop Castle Hill that became known as Buda Castle. In 1771, Maria Theresa obtained possession of what was reputed to be the long-missing right hand of Stephen, Hungary’s first king. She gave this so-called “Holy Right,” claimed to have miraculous powers, to Hungary, which placed the mummified fist in the chapel of Buda Castle. Having no interest of living in Hungary, Maria Theresa allowed an order of nuns to use Buda Castle but soon decided that her lavish palace was no place for a nunnery. She evicted the nuns and the palace housed a university. The palace was substantially damaged as it repeatedly changed hands. When Franz Joseph became King of Hungary in 1867, he made Buda Castle his primary residence and began a series of renovations and additions to make the now neoclassical palace the rival of any others in Europe. In 1873, Buda and Pest, previously joined by the Chain Bridge across the Danube, merged to form Budapest. Today, Buda Castle is home to the Budapest History Museum and Hungary’s National Gallery. Its beautiful grounds and spectacular views make for an ideal walking tour, but anyone hoping to see the Holy Right will be disappointed. The bejewelled relic was removed from Buda Castle in 1944 and now resides across the river in St. Stephen’s Basilica.